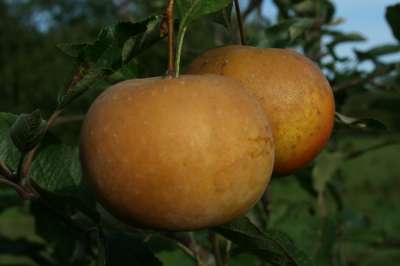 A most interesting addition to our range of Russets, this small chestnur brown heavily russetted Apple develops a characteristic intense taste of pear drops as it ripens. A productive small tree, the fruits are ready for harvesting mid October and have great storing properties, often keeping well until March. The blossom is most attractive too. Good pollinators include Bountiful, Herefordshire Russet, Redsleeves, Pitmaston Pineapple, Red Devil and Red Ellison.